It seems that attempts to block Bitcoin Cash has failed, and exchanges that were timid to Bitcoin Cash or flat out rejected it are now giving in to the demands. Initially, when Bitcoin Cash was announced, some exchanges decided to voice against it - a bold move to prevent long time user confusion. Afterall, Bitcoin Cash is less than an upgrade than an adjustment of parameters - hardly worthy of being a new coin. However, it seems like Bitcoin Cash has won the battle - at least for now, as it has value. 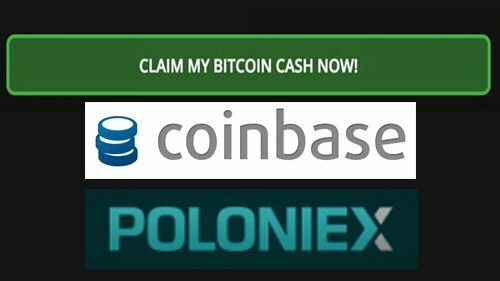 Wallets such as Exodus are adding support to claim bitcoin cash, whilst exchanges that are initially against Bcash are adding it. It is still dropping like a stone as everyone who has been given it seems to be dumping it. I'm in two minds whether to join the dump now, or hold for the longer term. It is in effect and alt with no real world connections, so for the foreseeable future it will just be used to speculate with. Interesting times. yeah, never understood the hype or how it even has value. I believe Bittrex just added it automatically, right? If you had BTC balance? It did for me . there are always miners mining bch, just a matter of how many. This post has been ranked within the top 25 most undervalued posts in the first half of Aug 04. We estimate that this post is undervalued by $19.29 as compared to a scenario in which every voter had an equal say. See the full rankings and details in The Daily Tribune: Aug 04 - Part I. You can also read about some of our methodology, data analysis and technical details in our initial post. Thanks for sharing the update, @boxmining!